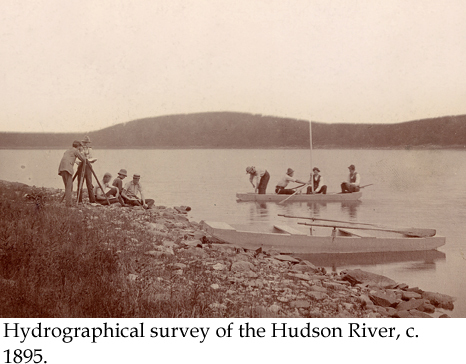 Beginning in 1919, the summer survey rotated between Warrensburg and Poultney, VT. In later years, the students were housed at Green Mountain College in Poultney. The summer survey was moved to a "camp in the Adirondacks" in 1938 and remained there until Poultney once again became the favored site in the 1950s. Students were accommodated in boarding houses and hotels in rural towns. In some cases the students descended on a town with little warning. When the surveyors came to Round Lake, the Hotel Wentworth was unprepared to feed a hungry crowd and resorted to serving "mush and milk" for dinner. 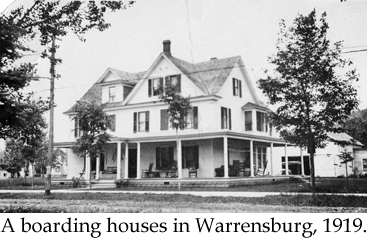 A boarding houses in Warrensburg, 1919. 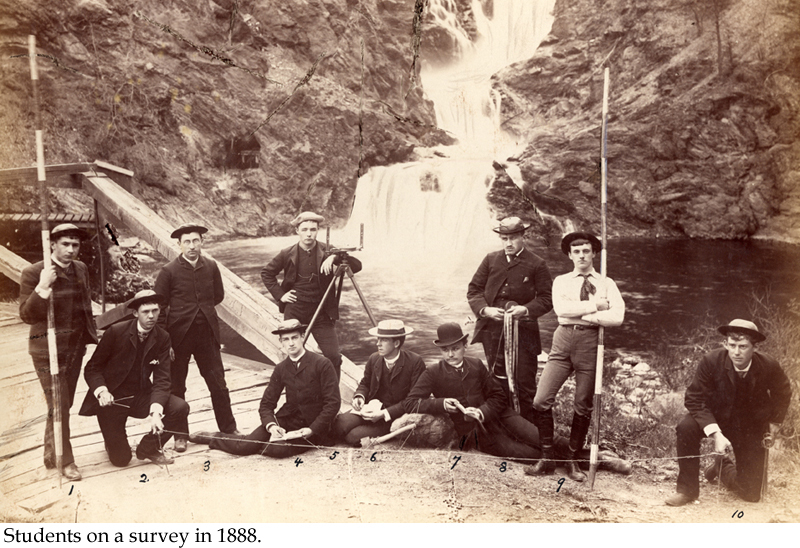 Surveyors pose (wearing their favorite hats?) 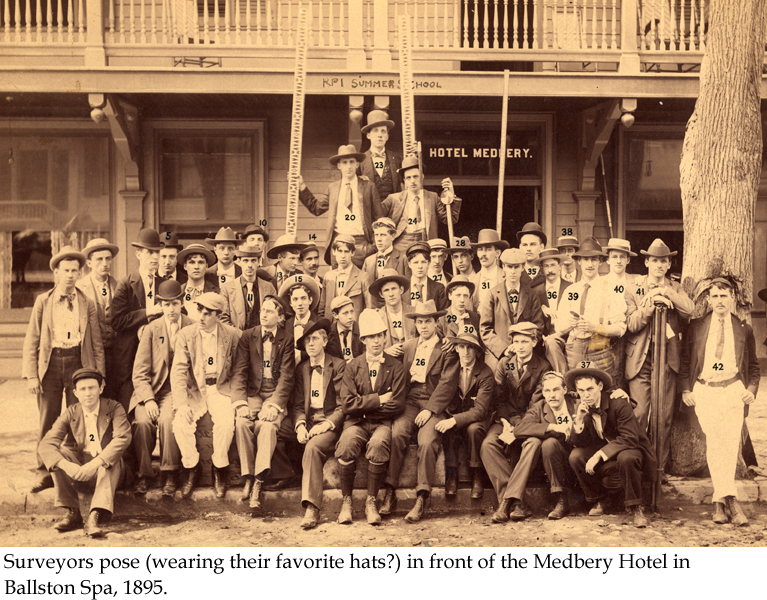 in front of the Medbery Hotel in Ballston Spa, 1895. 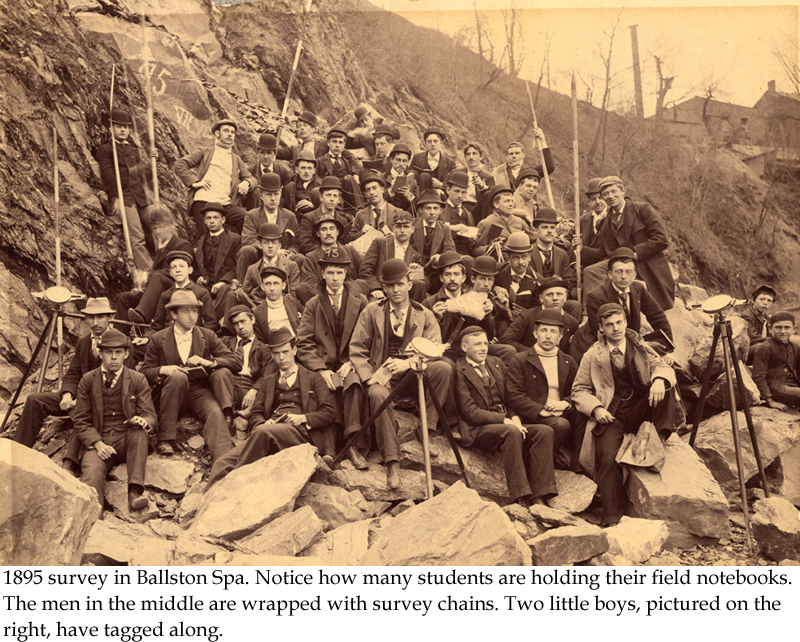 1895 survey in Ballston Spa. 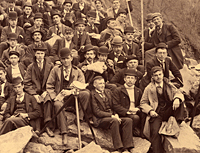 Students on a survey in 1888.